Dr. Dan Nguyen opened Neuroradiology & Pain Solutions of Oklahoma and joined the Oklahoma Spine Hospital team in August of 2018. He is Board Certified, in Radiology, with a Certification of Additional Qualification (CAQ) in Neuroradiology. The reviews listed below were collected independently of Neuroradiology & Pain Solutions of Oklahoma through rater8. Each review represents an authentic and verified patient experience. My visit was very pleasant, Dr. Nguyen seemed very concerned about my pain and feel like he wants to help me. Seems to be a very concerned about patients needs. Dr. Nguyen is professional and friendly. Really listens to patient - considers all symptoms and helps you understand what potential problem might be. Doesn't make you wait forever to get appointments or treatment. Dr Nguyen was thorough and took the time to listen to my symptoms. He explained what course of treatment he recommended and what to expect. Highly recommend. Dr. Dan Nguyen opened Neuroradiology & Pain Solutions of Oklahoma and joined the Oklahoma Spine Hospital team in August of 2018. Previously, he was an Associate Professor in Diagnostic and Interventional Neuroradiology with almost 20 years experience at Georgetown University, and most recently at Penn State University. In addition to clinical work, he served as Chief of Diagnostic and Interventional Neuroradiology at those institutions, published papers and ran important clinical trials for pain. Recently, he was elected as an officer in the American Society of Spine Radiology (ASSR) and will be the President for 2020-21. 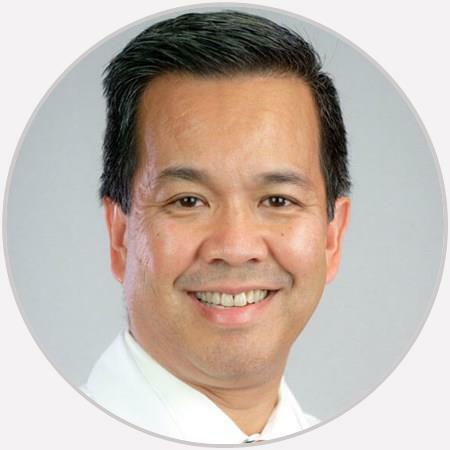 Dr. Nguyen earned his medical degree from the University of Pittsburgh School of Medicine. He completed residency in Diagnostic Radiology at the University of Illinois in Chicago, Illinois. He completed a two-year Neuroradiology Fellowship at Georgetown University Medical Center in Washington D.C., with time spent at the National Institute of Health (NIH) in Bethesda, Maryland. He is Board Certified, in Radiology, with a Certification of Additional Qualification (CAQ) in Neuroradiology. Dr. Nguyen enjoys traveling, sports, and reading. He lives in Oklahoma City with his wife and children.